16:38 | Lima, Feb. 8. 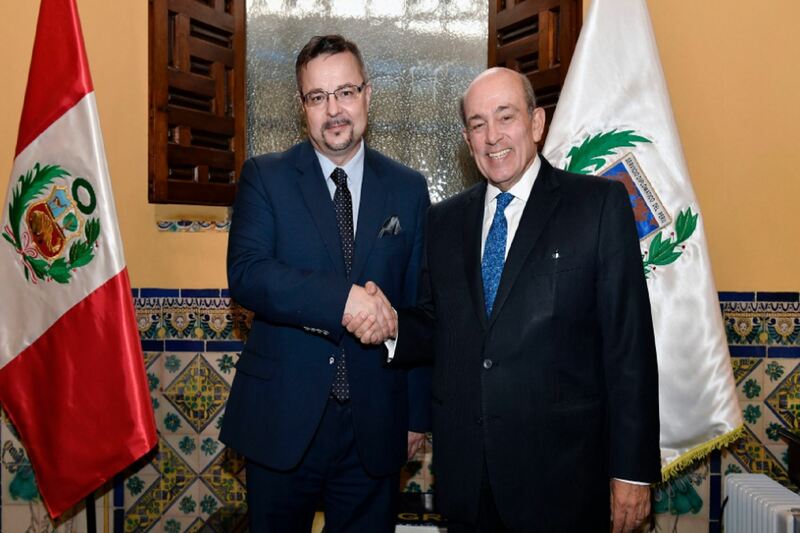 Peruvian Deputy Foreign Affairs Minister Hugo de Zela on Friday held a meeting with his Czech counterpart Martin Tlapa. According to the Inca country's Foreign Affairs Ministry, the gathering was intended to cover diverse topics on the bilateral agenda. The 8th Peru-Czech Republic Political Consultation Mechanism Meeting took place at Torre Tagle Palace, the building housing the aforementioned ministry.